New Year’s Eve is tomorrow. Do you have any plans? We are having friends over for a game night, and I’m really looking forward to it. We actually tend to lay low on New Year’s Eve, but this year we decided to celebrate with friends at our house. 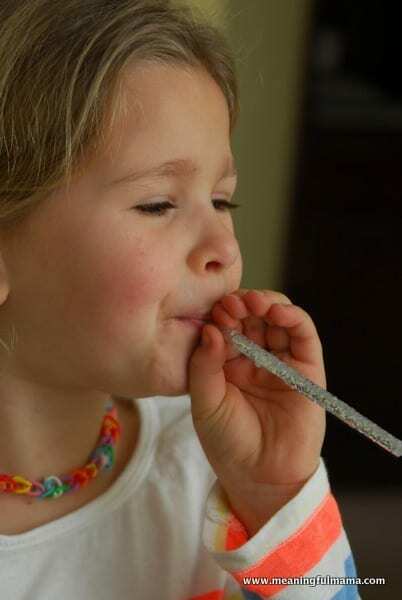 No matter what your plans, these DIY New Year’s Eve party straw noisemakers are so much fun and easy to make…very easy to make. They are made out of drinking straws. 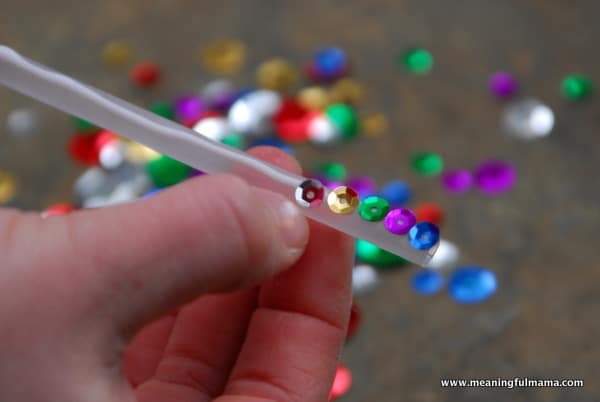 You can glam them up with glitter, glitter glue, sequins or jewels or just leave them plain. The kids can help design their own. Thank you, Craft Project Ideas, for the glittery goodness. You want to make sure they have enough time to dry before it is time to blow them. 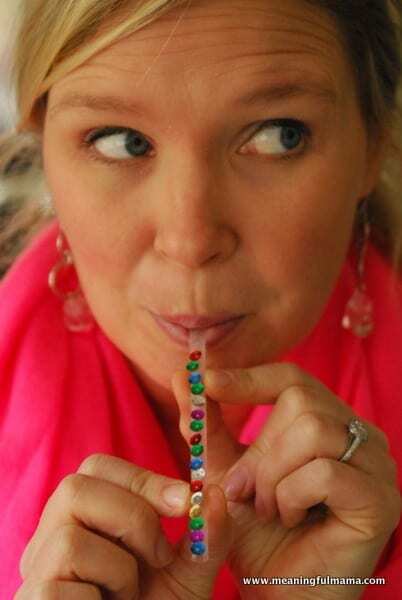 My husband came home a while back with the idea of making noisemakers out of straws. We had a lot of fun making and blowing them, and I thought of the idea of making them New Year’s ready with a little bit of bling. 1. You will need a simple drinking straw and will want to crease one end. 2. 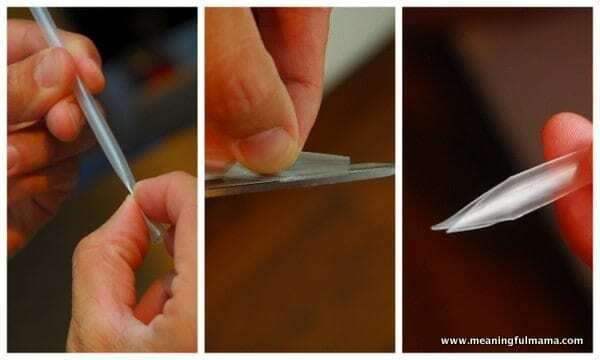 Cut off one side at a sharp angle. 3. Do the same on the other side to created a pointed end. This will be the end you blow from to make the screeching noise. Different lengths of the straw will create different tones. Shorter straws will create higher pitched sounds. 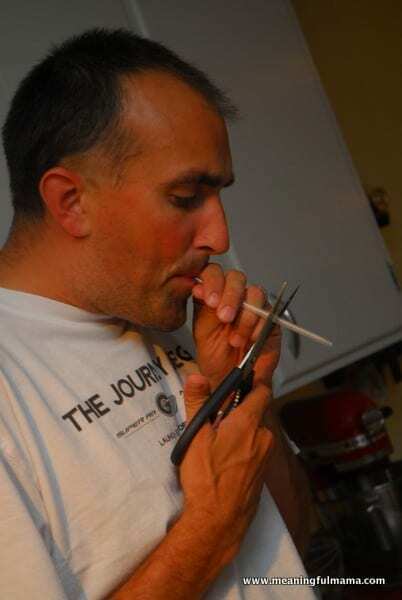 The longer straws with the lower tones are a little more challenging to blow. One decorating material I used was glitter. I just covered the straw in white glue and sprinkled with glitter. MAKE SURE TO LEAVE ROOM FOR YOUR LIPS. Do not decorate where your mouth will be. Another option is colorful sequins. 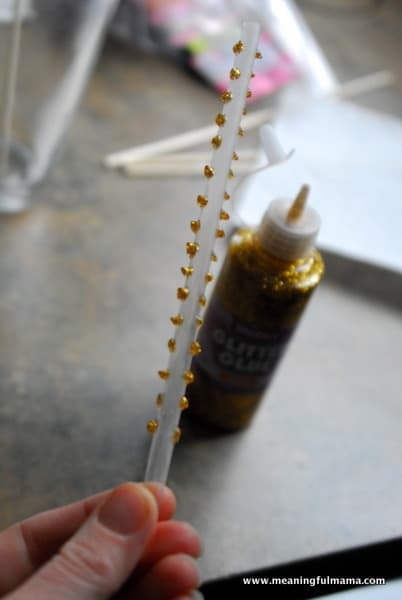 I did a strip of white glue and glued the sequins on going down the straw. 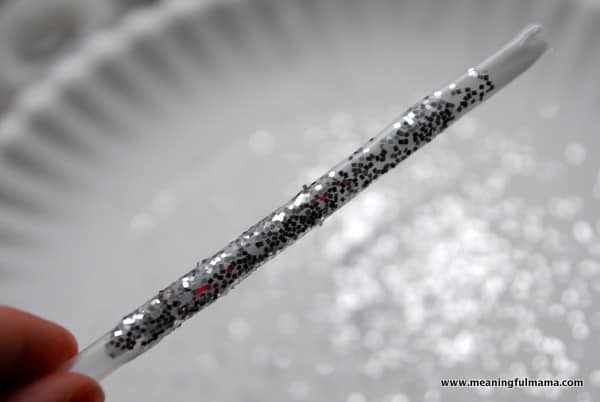 I also used glitter paint to make one of the straws. I took pictures while these were wet, but they dry flat. TO DRY: I taped skewers to the window sill and slid each straw onto the skewer to dry. 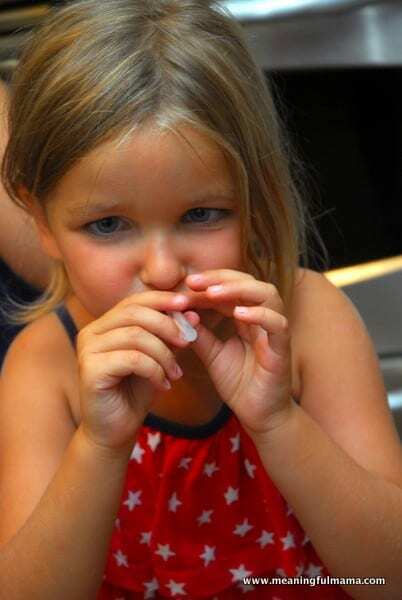 To make noise, you will need to press slightly with your lips and blow. It may take a few tries and adjustments to understand the technique, but all of my kids were able to do it. Happy New Year everyone. 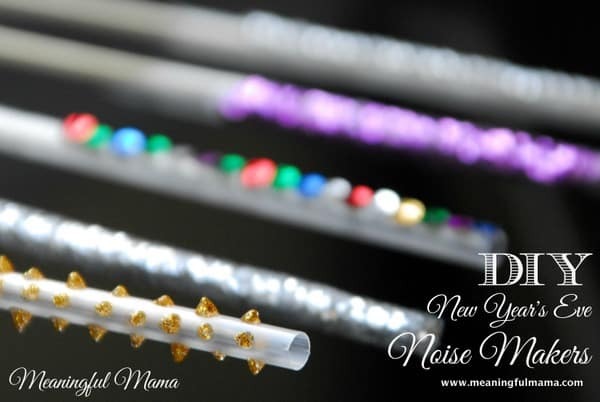 I hope these super easy New Year’s Eve noisemakers help you ring in 2014 and beyond. Thanks so much. Glad you liked this idea.